Don’t let moving and storage turn into a hassle! 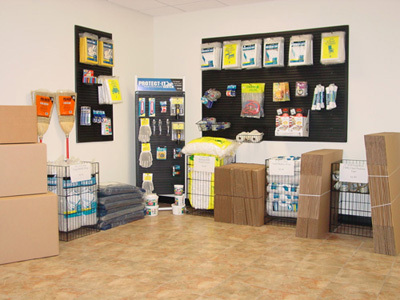 We have an on-site supply shop that can help you store your belongings quickly and effectively. We offer a wide array of products that are critical to the move-in, move-out process. Items such as boxes, rope, shrink wrap, duct tape, and more help fill in any gaps that you may have overlooked. Our store is available to patrons during normal office hours and via appointment.